Category: local natives. resort 2014 collections. ACNE. Alexander Wang. Chloe. Suno. local natives. resort 2014 collections. ACNE. Alexander Wang. Chloe. Suno. The thing is… with this whole fashion world…. your always lookin’ ahead. Wishing it was Fall in Spring, Winter in Summer…. or in this case, pleading your very own God you were “Resorting” in 2014. What about the present eh? “BE PRESENT”.. man. In the (very)rare case I say F*ck the present… I want these pieces now. 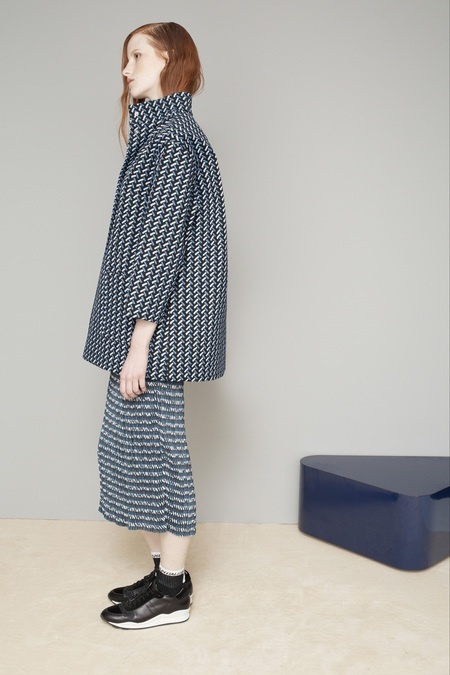 Resort 2014 collections had my little brain all tweaked on the future. Why these in particular? Chloe is a no brainer… always, so we leave her out of the reasoning. Soft color pallets with pops of color… large interesting shapes, big palazzo pants and baggy shorts… boyish layers, printed mix ups, and a little bit of beautiful strange that jumped the wagon. Top to Bottom: Suno. Rochas. Opening Ceremony. 3.1 Phillip Lim. Sonia Rykiel. Stella McCartney. Chloe. Chloe. ACNE. ACNE. Alexander Wang. Alexander Wang. Local Natives I A Take Away Show from La Blogotheque on Vimeo.